“Fun-loving”, “Sassy”, “Modern” and “Dynamic” are just a few of the exciting adjectives used to describe Carrie’s artistry in hair design. With passion, Carrie finds her muse reflected in every human face, creating looks perfectly tailored to each individual. Especially talented with color, special event and bridal hair design, modern shaping and finish work, Carrie’s hair design creations are anything but ordinary! Rivaling Carrie’s passion for hair design is her unquenchable thirst for continuing education. Her constant pursuit of knowledge in the ever-evolving world of the beauty and fashion has taken her throughout the U.S., Canada and Europe to study with some of the most respected names in the business. During her tenure as a Cassandra stylist, the opportunities for education have allowed Carrie to build upon her resume with participation and certifications from Goldwell USA, Toni & Guy, Bumble & Bumble, Graham Webb and Yves Durif of the Carlyle Hotel in New York City to name a few. 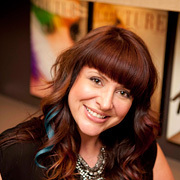 Currently a salon advocate for Goldwell, Carrie has also performed as a product and technical educator both in-salon and off-site for other professional lines. Accompanying Sandra at the 21st Intercoiffure World Congress 2012 in Rome, Italy, Carrie reached a major milestone when Vivienne Mackinder, Director of Fashion for Intercoiffure America/Canada called upon her to assist backstage with the models! Besides her passion for hair design, Carrie attributes much of her career success to the true team atmosphere of Cassandra. Ever grateful, Carrie joyfully gives back to the community through her participation with the Cassandra team for Fitness for a Cure to benefit St. Jude Children’s Research Hospital, Home, Health and Hospice of Greater Nashua, Nashua Soup Kitchen and other charitable efforts.